Two tidal creeks wind their way through the marshes north of Faversham and out to the Swale estuary. 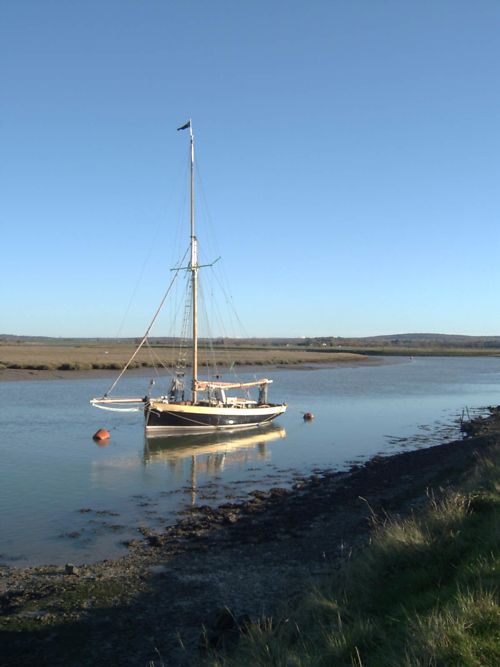 Faversham Creek and Oare Creek create a peaceful environment, with wild birds, traditional boats and wide skies. The wardens monitor the footpaths and foreshore area of coast from Dans Dock in the west to the south bank of the South Swale Nature Reserve at Graveney. Included in the area are Oare Creek and Faversham Creek. We are not a campaigning group and we do not have public opinions on the future of the creeks. We are a group who believe in action and getting out in the open air to make a difference. Creek wardens volunteer as little or as much time as they wish. For some, being a warden is merely walking the dog around the creek keeping an eye out for anything that needs to be brought to someone's attention, an overflowing bin or a washed up oil drum. Others pick up litter or get involved in organised tidy-ups. We have two small boats we use to access hard-to-reach areas and sometimes we get very muddy! There are opportunities to expand your understanding and love of the creeks with occasional talks from experts on matters like wildlife and history. The creek wardens often assist in the work of other organisations, for example Kent Wildlife Trust and, although we are not an emergency service, we would be willing to assist in situations such as flood or search. We are also keen to spread our passion for the creek to others. We take part in local events to increase awareness and raise funds for our work.